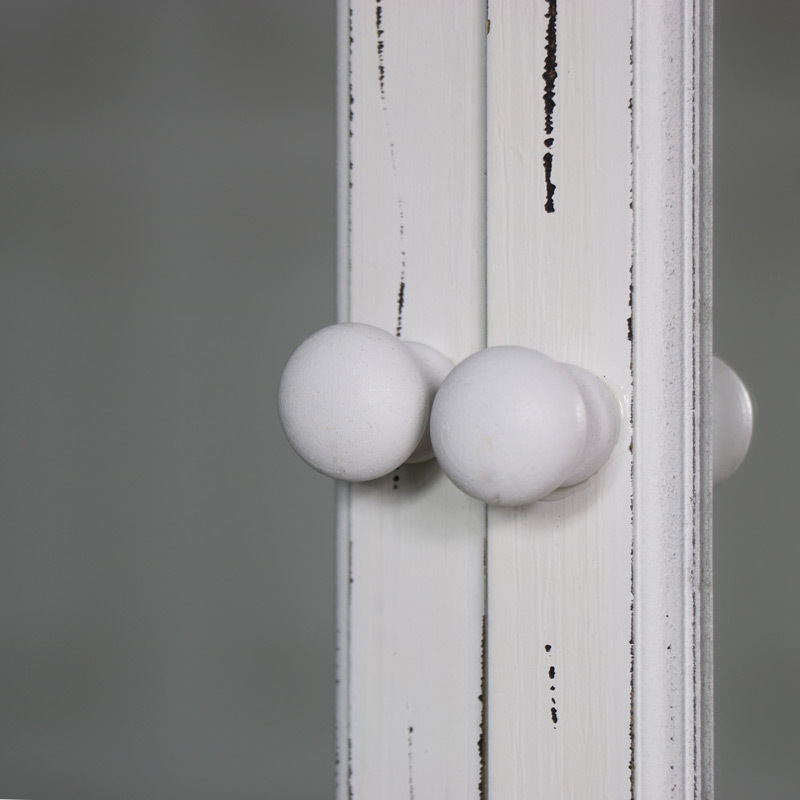 Both doors feature magnetic closing on the doors to secure shut. 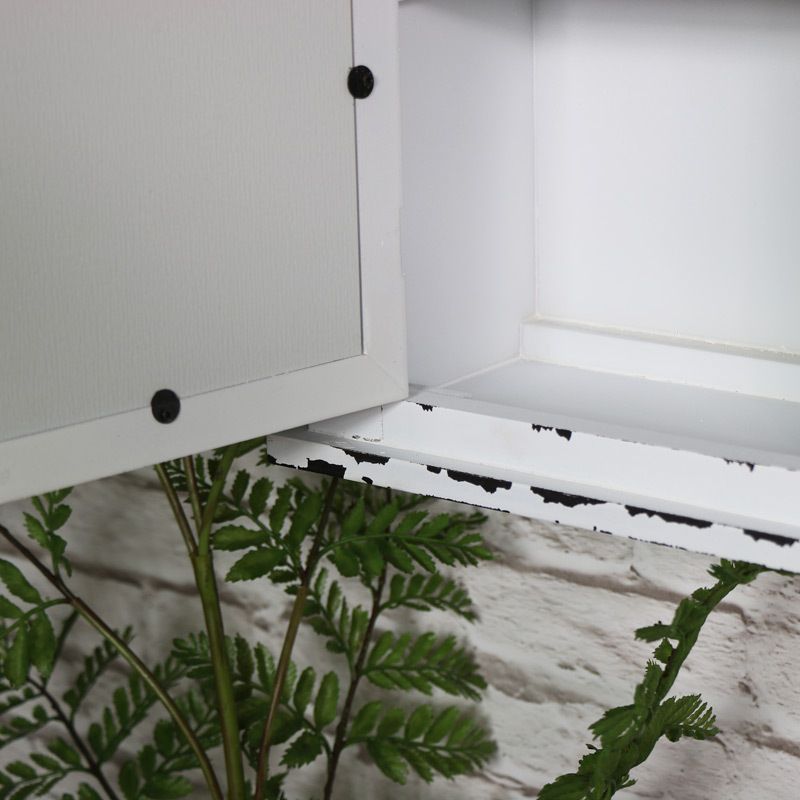 The internal shelves measure 49.5cm x 18cm x 13.5cm (width x height x depth). 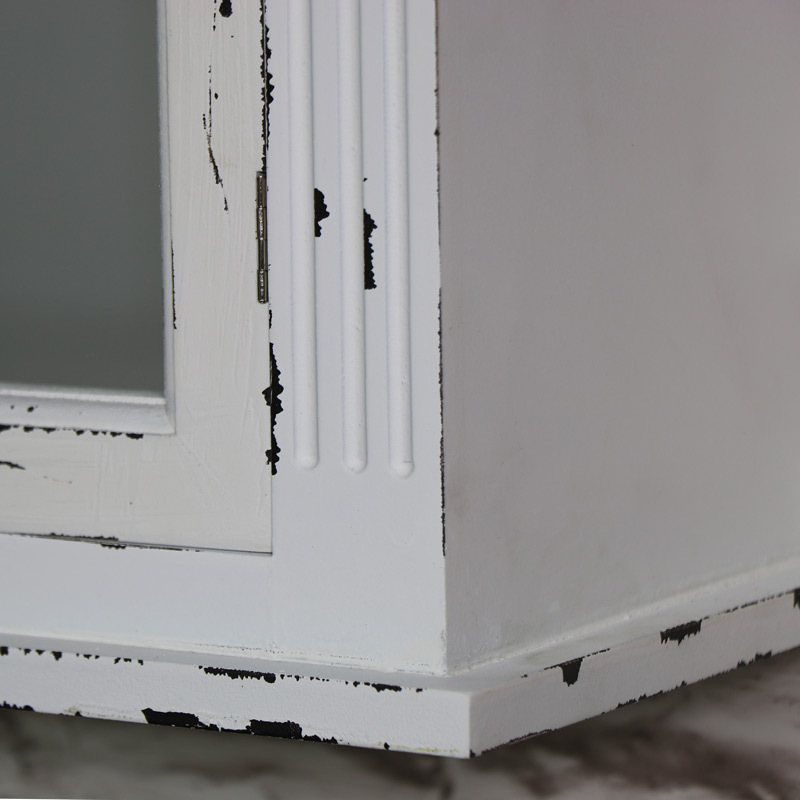 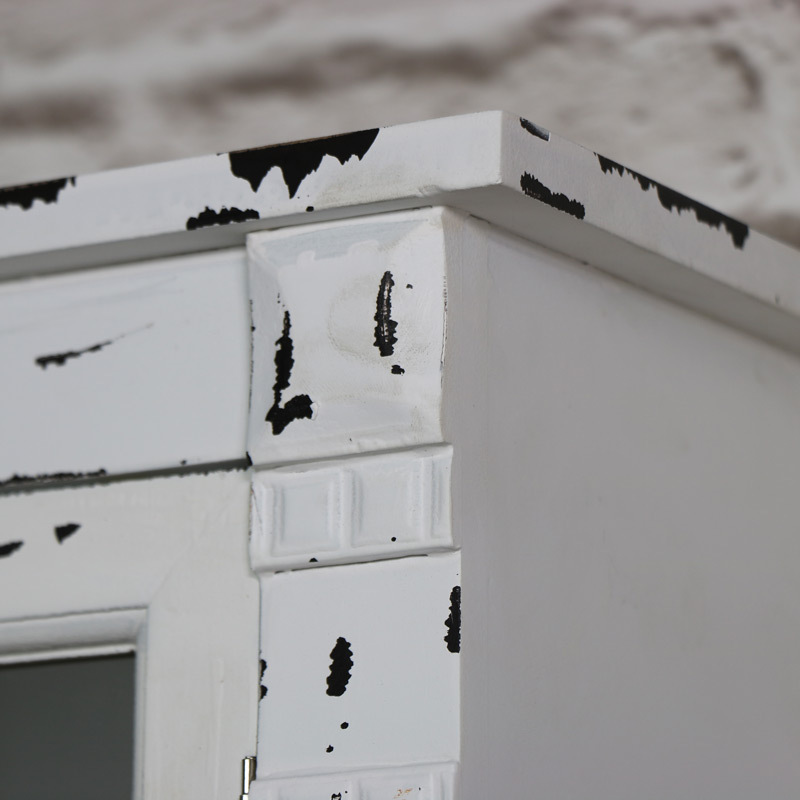 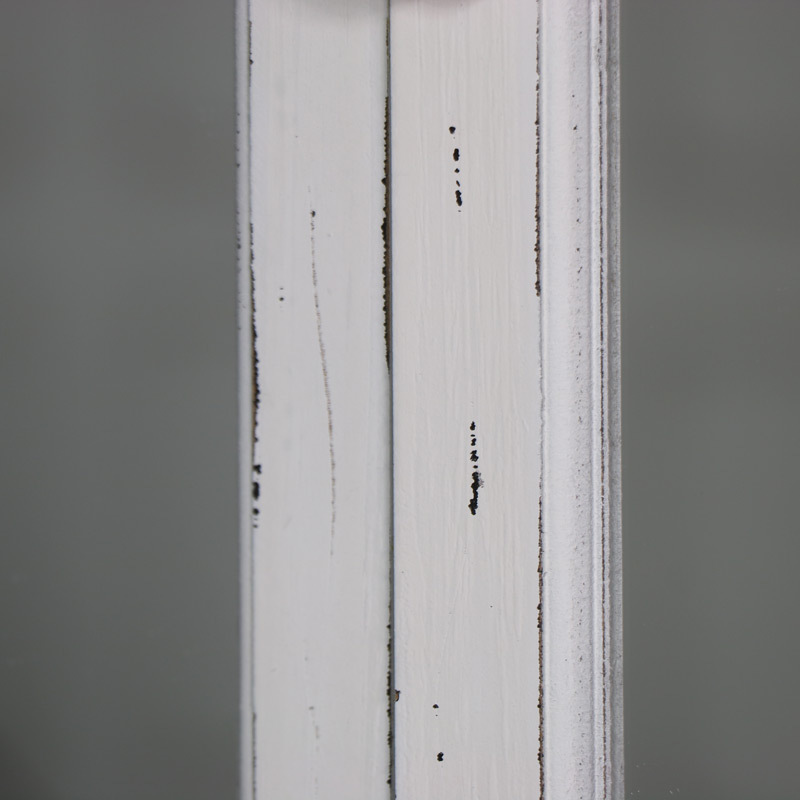 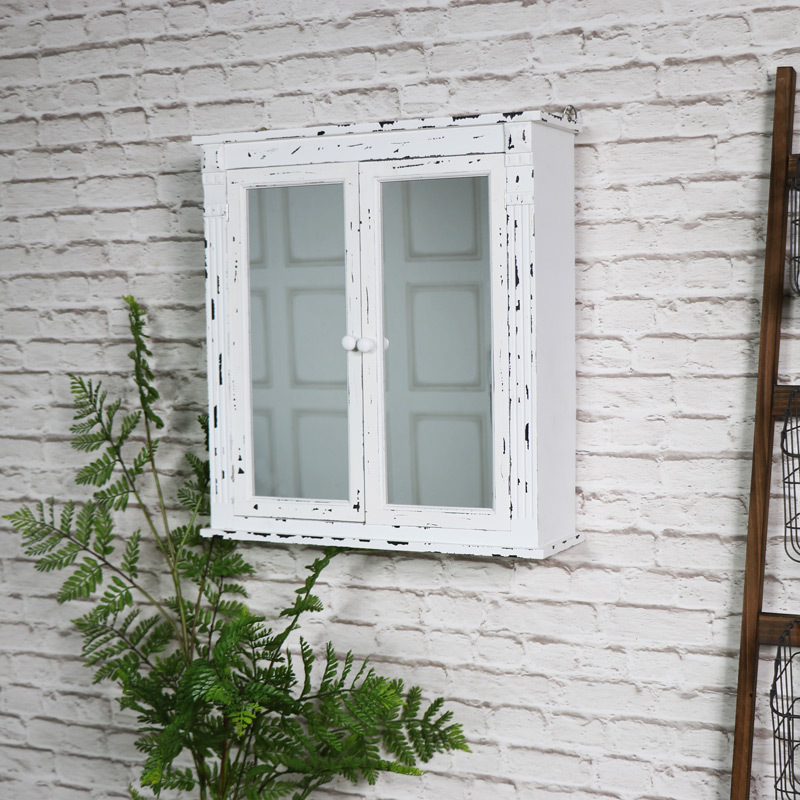 The cabinet is made from wood and painted white with a distressed finish. 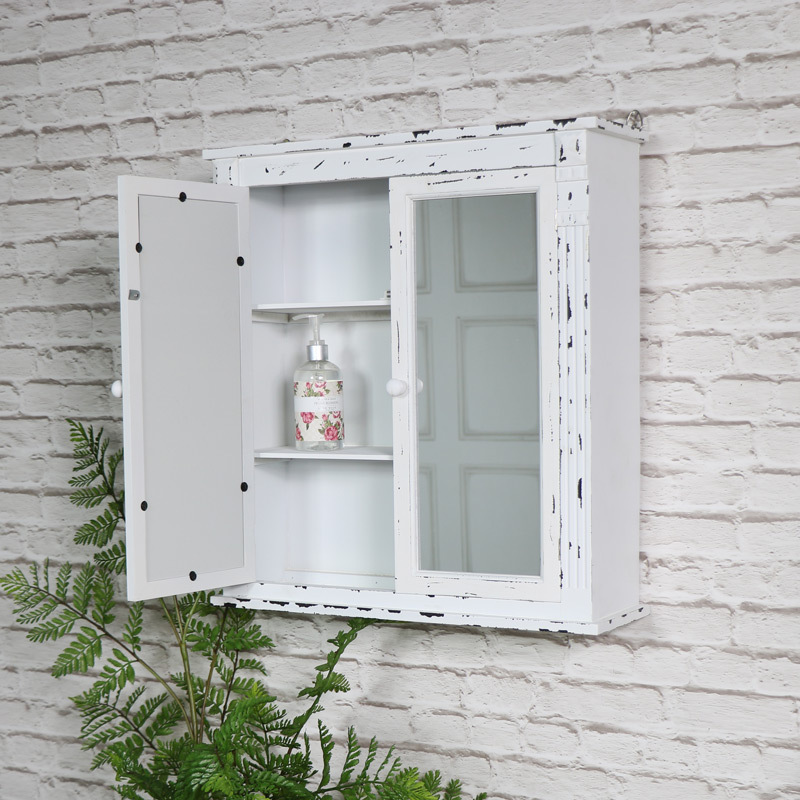 The cabinet can be used freestanding on a shelf or wall mounted (fixings not included).